It’s a challenge to find a location for a luxury home that’s better than the Wailea Fairway Estates. Nestled atop the famed Wailea Blue Golf Course, Wailea Fairway Estates offers its residents luxury homes in one of Maui’s most coveted residential neighborhoods. With sweeping views from Kaho’olawe to Lana’i, there’s nothing more picturesque than the surroundings of these tropical Maui estates. Located near the famed Grand Wailea and Adaz Hotel, residents can experience the best Maui resort life has to offer. Spas, shopping and five-star restaurants are within minutes from the neighborhood. The Wailea beach path and several white-sand beaches are just some of the nearby outdoor activities. 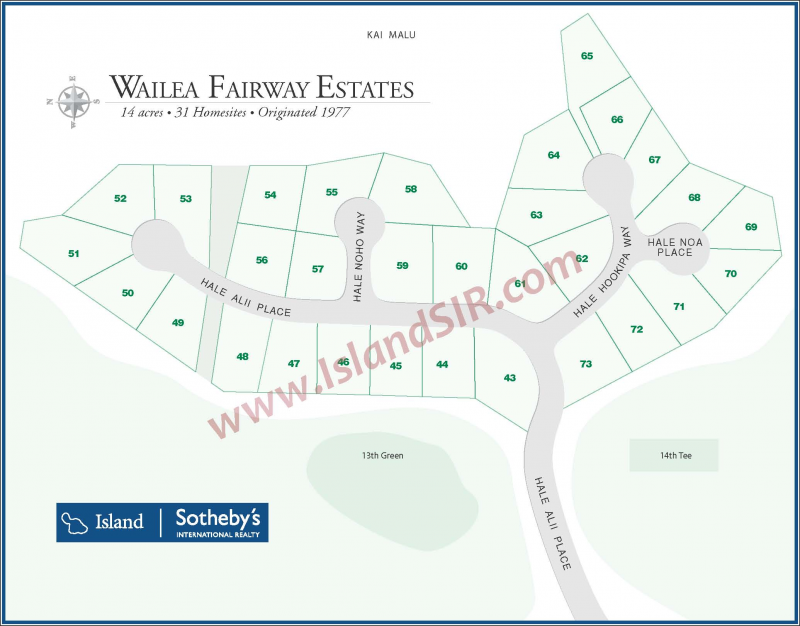 Thinking of purchasing or selling a Wailea Fairway Estates property for sale? Contact us for a private consultation - our team encompasses some of the utmost experts in the Wailea real estate market who would be happy to answer any questions.